On Jan. 17, Aram Ayra, a recent UCR graduate and a project policy analyst on campus, was joined by over 100 faculty and academic senate members, staff assembly board members, graduate and undergraduate student leaders and others in sending a letter to Chancellor Kim Wilcox regarding the preservation of College Building South. 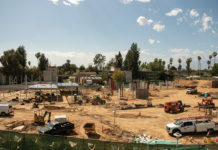 The building, according to Ayra, is in a state of neglect and falling apart with UCR administration doing little to help. On Feb. 27, 2018 an Academic Senate division meeting was held, with Wilcox and other university leadership in attendance. 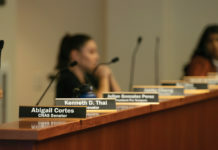 The theme for the meeting, developed by Academic Senate Chairman Dylan Rodriguez, was “Facilities, Faculty, and the Future” and encompassed a broad discussion on the physical state of UCR’s academic buildings, the campus use of shared services and the need to invest in UCR’s academic buildings. In the letter to Wilcox, Ayra and UCR faculty state that, “We … are writing this letter in support of preserving and investing in College Building South … We have combined our voices to request the University of California, Riverside address the current vulnerabilities of the building in order to preserve it and prevent further deterioration or damage to its architectural and historical significance.” The letter also states that the repairs and investment in preserving the building will ensure continued access for the public to appreciate the historic space and for scholars and staff to pursue their work. 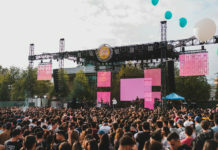 Ayra believes that UCR’s campus itself is a “mishmash of older, architecturally unique buildings and the new UCR brick & glass buildings that stress a polished cookie-cutter look that does nothing to add the vibrant history and human geography of the campus.” However, Ayra stressed that he is not against new development. “New buildings, research space, and world class amenities are necessary and proper for a campus like ours. But they should not come at the cost of erasure and disinvestment in the campus aspects that make our University uniquely us,” Ayra said. As of Jan. 23, Ayra has yet to receive a response from Chancellor Wilcox; but Associate Chancellor Christine Victorino has responded and assured Ayra that he, along with other university leadership would be responding soon.